This wicker bell Christmas decoration just jumped out at me at the Hospice Flea Market. It looked like a girl's dress. 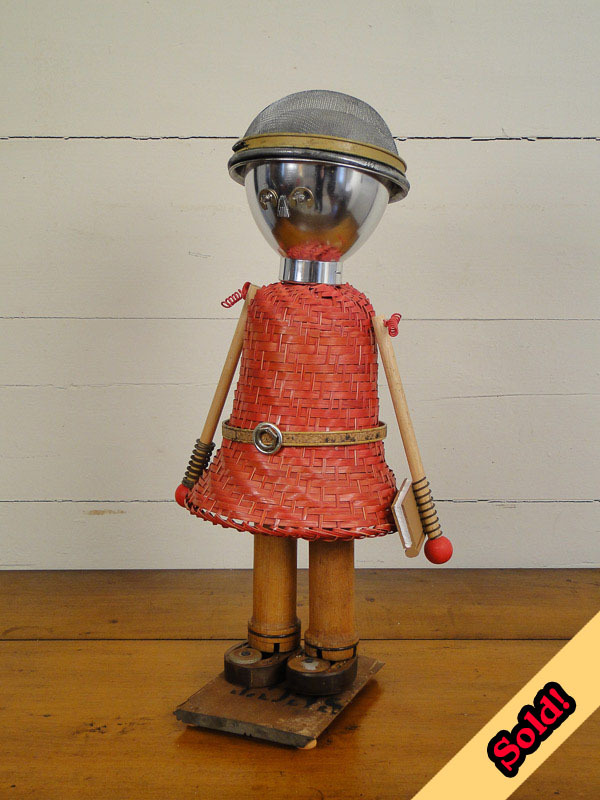 With a few added details - textile mill spools for legs, toy drum sticks for arms, small mixing bowls for a head and a strainer for a hat - she became an avid reader, carrying her little wooden book.